Your need to express yourself is powerful this month, but you could be held back to some degree by concerns at what your peer group or friends may think. You have to jump through this hoop where you cast aside fears of being judged and go for it regarding expressing your opinion and ideas, no matter how radical or unorthodox. This is one of those months where friends or colleagues seem to be agreeing with you, and you go ahead thinking they are going to back you up, but when it counts they fade away and let you down. Know that this could happen and prepare for it. If you do need to rally people around you, you will have to appeal to their emotions rather than to their reason and logic. This is a good month to capitalise on siege mentality or on an us versus them mood. You could also be held back by becoming dragged down by other people’s problems – you need to get away from Debbie Downers and nay sayers who can cloud your judgement with negativity. Free yourself from unhelpful hangers-on and forge ahead without dragging these unmotivated individuals with you. This is a wonderful month for those who have been feeling hemmed in or constrained to finally bloom and take centre stage. You are most successful this month when you have used January to crystallise your goals and choose those which most align to your inner calling. You can actually forge new alliances or make new friends this month who are similar to you in terms of where you are regarding personal evolution. This month is an excellent time for taking your creative projects off the drawing board and into the limelight. It looks very exciting for Valentine’s Day – spontaneous relationships can begin and get off to a start like sprinters reacting to a starting pistol. You may be quite deep into the relationship before you realise what is happening, and this can feel exhilarating. It is an adventurous time in romance when you throw away the rule book and allow emotions free reign. You are attracted to eccentric types who buck the trend and who come across as controversial, radical, and free spirited. 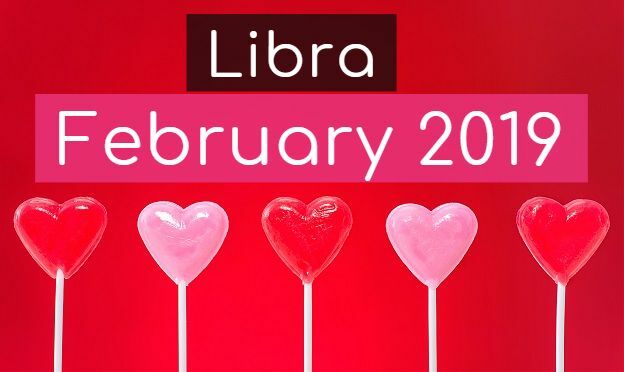 Libra are into politics and philosophy this year, and it could be this very month that a new love interest turns you on to some exciting new avenues of thought. Often it is the excitement and feeling of release that comes with rebelling that makes new romance that much more compelling this month. You enjoy the carefree youthful feeling this person gives you. This relationship may not last; in fact, in two months’ time you may find it was not all you’d cracked it up to be. However, it is fulfilling a need in you right now, and it can be memorable. Libra are not excited by sensible relationships or relationships which you are encouraged into via friends and family; you want to do it your own way when it comes to love. In marriages, there can be sudden separations as your partner may have more work abroad or in another town, but often this can revitalise the relationship. More freedom is what you need in your established unions: that freedom can be physical (i.e. spending more time on your hobbies), or mental (being more vocal about your opinions and sexual needs). You will crave spontaneity, and so your partner needs to surprise you and go with the flow. Librans will demand changes to relationships to improve understanding and also inject more novelty and excitement. Relationships, where Librans are involved with someone very stubborn and set in their ways, will suffer. Children will be a focus this month, not only for teachers and social workers, but also for people who run scouting groups, sports coaching, dance or arrange camps. Those who create computer programs, medicines, and clothes designers will also be more focused on development of products for young children. Whatever your business is, you need to look at how you cater for families with young children or for children regarding education, development, and well-being. Work with children is very rewarding right now, and if you are unemployed, this is a year when you may find success in working with children in some capacity, and so you may want to use skills you have to teach or learn new skills that you could use in a new career with children. You may hold meetings in your home in connection with organisations or community groups you belong to. In some cases, you could organise pressure groups or host work events at home to discuss issues of joint concern and generate action plans. Any activity you do within a group has an unpredictable element, and you cannot always rely on people to act true to form or deliver as anticipated. You may need to coax people to do things rather than instruct or order them as they may resent your authority. Be very alert to con artists and get rich quick schemes; also beware of malware and nefarious emails masquerading as something legitimate. This is not the best time to employ a new accountant, new lawyer or business advisor as they may not fulfil expectations; they may be all about the big sell with poor delivery.